NOW WITH ADDED LOWER PRICING! If you’re like me, the last thing you want to race is a Miata or an E30, while the first thing you want to race is a Panhard Dyna Z. (Then again, you’re also smart enough to know that one of those wouldn't last a lap). 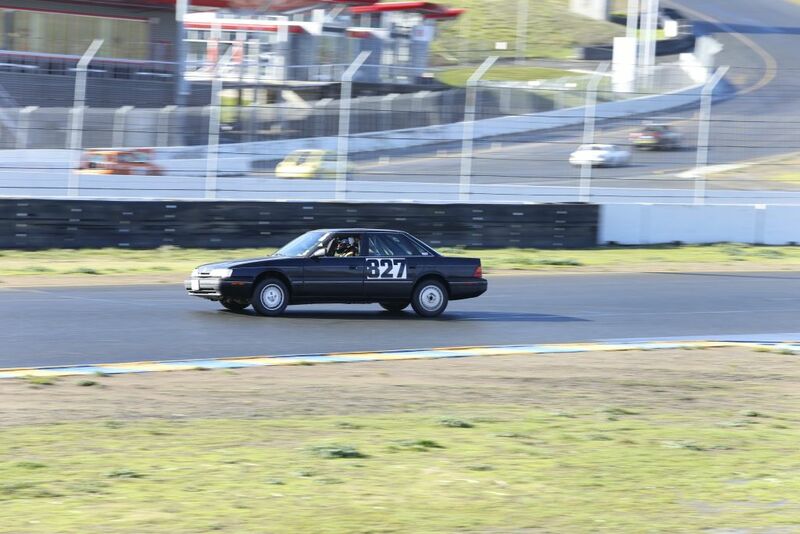 The Sterling turns out to be a shockingly reliable race car that handles great, accelerates respectably and brakes well. Over its two race history, it has run each race in its entirety, only needing stops for tires and brake pads. Comes with a spare parts package that includes a NOS cylinder head (with camshafts, valves, etc), wheel bearing set, spare front stainless brake hoses, front suspension uprights/spindles, fuel pump, NOS Rover rear shocks (x3), rear brake pads and rotors, a spare set of 4 Nissan 240SX wheels and various other bits. Roll cage was built under the guidance of John Pagel at one of his great cage building classes (highly recommended). Kirkey race seat mounted to the factory power seat base (who else do you know with an 8-way adjustable power race seat with memory?). I/O part seat backstay. Harnesses good for another few years. Magnetic “827” car numbers. Will need fire suppression for 2019 season, but comes with a mounted extinguisher. Should the car stay with a Bay Area team, I’ll also be available at races to help out with any issues that may crop up. I’ve learned way too much about Sterlings over the past couple years, and must now be a world expert for the 12 that probably still exist in the US. Asking $220 for the Sterling (what we paid for it), and $1579 for the cage, seat and spare parts. Just replaced front brake rotors and pads. PNO’d for 2019. Selling so we can refocus on refining our other Lemons racer, the Rolex. Car is in Dublin, CA. A romantic dinner under the Sterling in beautiful Oakley, CA. My girlfriend was not amused. Price lowered - what are you waiting for? Get the world's most raced Sterling* for a song**. * According to Youtube and these forums. Underneath the British engine and wiring, this is very much a Honda Accord. These can be made to handle and brake very well using mostly junkyard parts. Ukemike - in fact, the engine is a Honda unit - the C27A, which was used in the First Gen Acura Legend. A variation of this engine can also be found in early 90s Honda Accord V6s. Update! The price has been lowered, and the Sterling now has a brand new set of Brembo front rotors and metallic pads installed. With the exception of fire suppression, it is as ready as any Lemons race car will ever be to race. SOLD! It's gone to a great team that will be further developing it and bringing it back to more West coast races. So happy to see it go to a great home.